They patrol in vehicles, Motorcycle and on foot and provide security for large events. Most reserve officers work with full-time officers, but all are qualified to patrol on their own. This program is ideal for individuals who have an established career and do not wish to make a full transition into law enforcement. Reserve officers have the same police powers, wear the same uniform, receive the same level of training and perform the same as full-time officers. 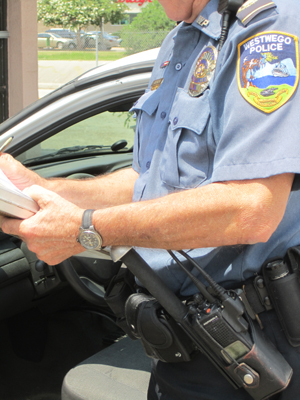 Reserve officers are unpaid professionals that serve the community in which they live.